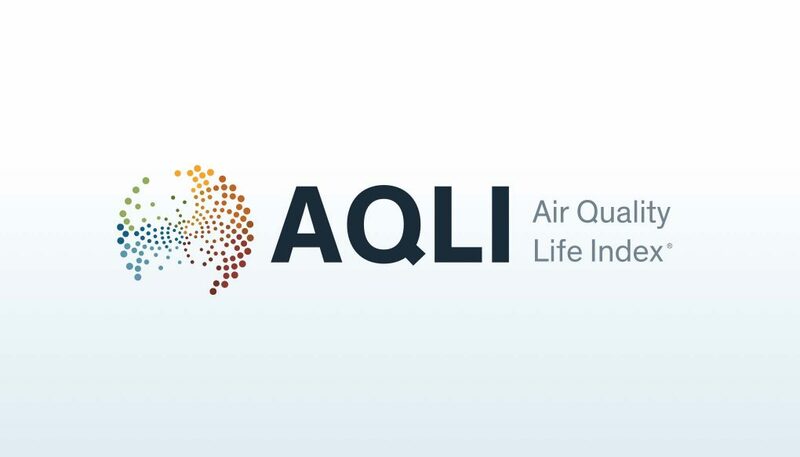 We’re extremely proud to announce the launch of The Air Quality Life Index (AQLI)—a new index by the University of Chicago’s Energy Policy Initiative which translates air pollution data into average life expectancy around the world. 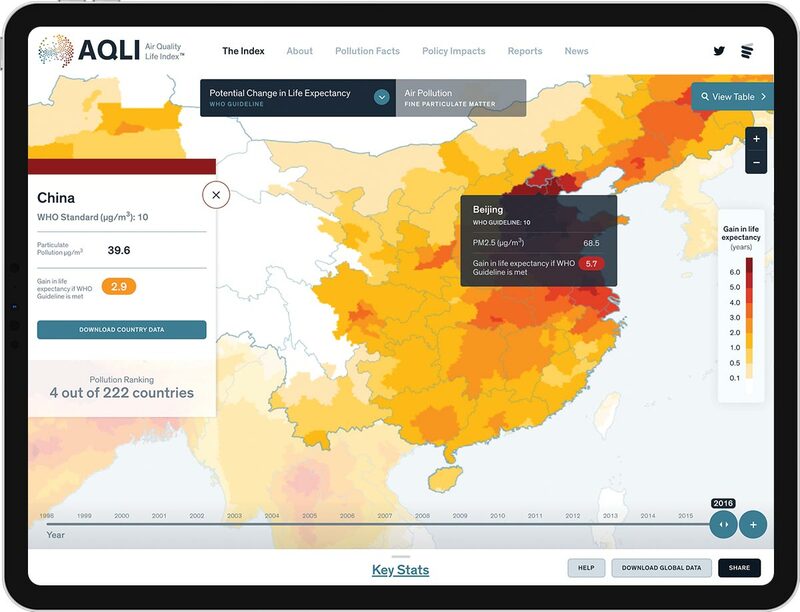 Featured yesterday in The Washington Post, the index is the first of its kind to convert pollution data into World Health Organization lifespan metrics. 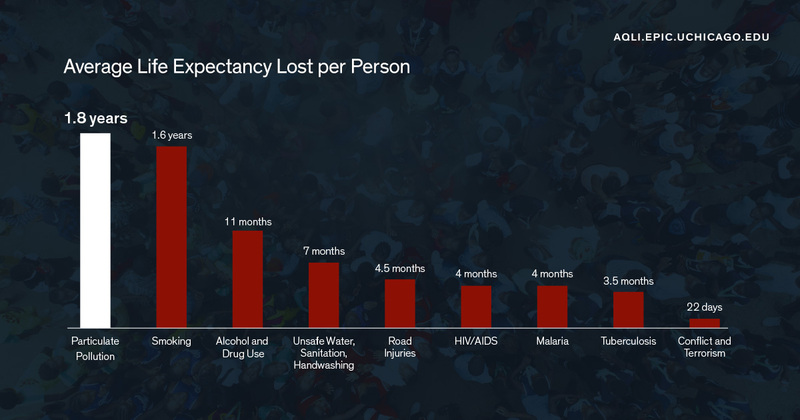 The interactive map zooms into the hyper-local level to reveal the effects of local policy interventions as well as the global disparities between life expectancy. The AQLI also includes regional reports and analyses that interpret the effects of policy interventions around the world. In the US Report, for example, the benefits of the 1970 and 1990 Clean Air Act have translated into an increased life expectancy of 1.6 years. Congrats to the UChicago team and everyone who was a part of this project!. We’re excited to follow AQLI’s impact on local and global policies. Explore more and share how much longer you’d live if you breathed clean air.